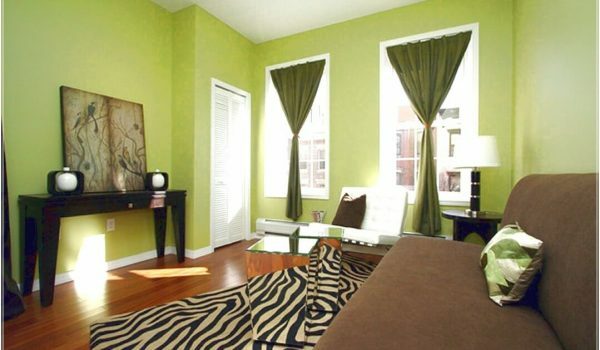 The most common reason people paint their interior is to freshen up the appearance of a room. A fresh coat of paint can give new life to a dull or drab room. To accomplish a great finish you should take a little time to prepare the walls properly. 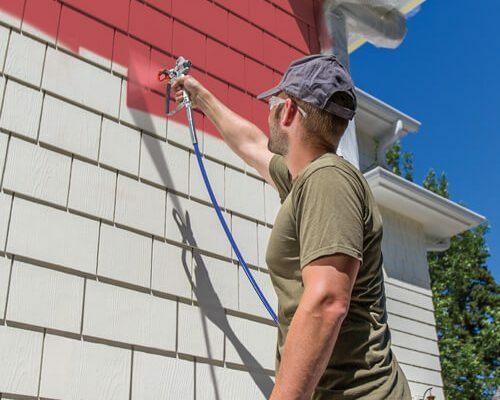 Many times homeowners will try to cut corners in order to save money and time, but by doing this, it can make your job much more difficult. Here are a few tips which can make your job go more smoothly and help you to achieve that beautiful finish. Always use a good brand of paint. You don’t need to spend a lot of money on paint, but you should purchase a quality product. Check around with friends and neighbors and ask them what brand of paint they have used and have had success with in the past. There are a lot of good quality paints on the market today, so just because one brand is more expensive than another does not always mean it is better. Once you have decided on the brand of paint you are going to use, now you will need to decide on color selection. You probably already have an idea of what colors that you like so I would recommend that you buy several samples to test out before you purchase several gallons of a paint color that you may end up being disappointed with. Most paint stores make it simple to test interior paint colors before you purchase a whole gallon. You can purchase a few pints of paint testers to paint small areas on a wall to see how you will like it.This is the best way to see how the paint will look on a wall. After you decide on a paint color and have purchased your paint, it is time to prep the room before you began painting. First, you need to move all of your furniture to the middle of the room, away from the walls and cover it with paper or plastic drop cloths. Remove outlet covers and doorknobs, and patch all holes in the walls. If you do these things first, before you begin to paint it will help to ensure a better outcome of any interior painting project. Next, clean all areas to be painted. 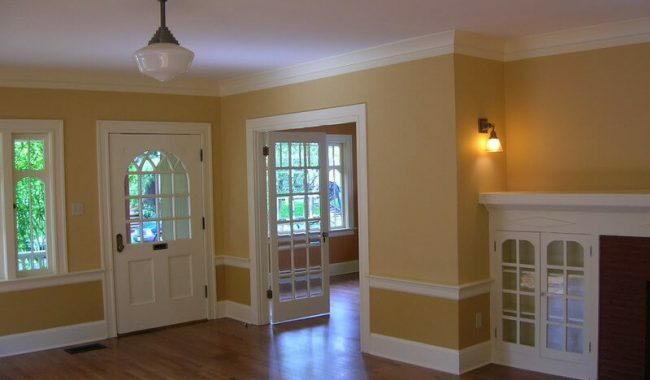 Clean walls and woodwork to get rid of dust and grease from all of the areas that you will be painting. Any grease that is not cleaned up will keep the paint from adhering to the surface properly. Dirt and dust that is not cleaned up properly will bind itself to your freshly painted surface. Clean with a mild detergent and allow the surface to air dry. 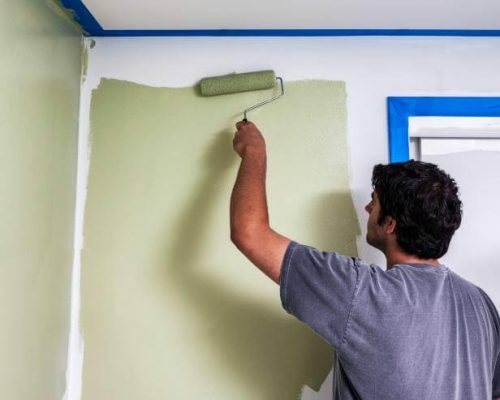 To begin painting you will need to cut in all corners before you use a paint roller to paint the larger areas.To do this, start at a corner and cut in the paint with a 2 or 3 inch trim brush. Use longer strokes, smoothly blending each stroke into the next. Cut in only as much of the wall as you will be able to roll while still maintaining a wet edge. Once you have an area cut in you can now go back and roll. To do this, you will need to fill a paint tray with wall paint. Load up the roller by dipping it into the tray and rolling it up the tray’s ramp until the roller is full but not over saturated. Roll paint onto the wall, working the roller into the wet portion of the wall that you have just cut in. Roll in three foot square sections, working from top to bottom and roll on more paint. Continue to roll paint along the wet edges of the wall.